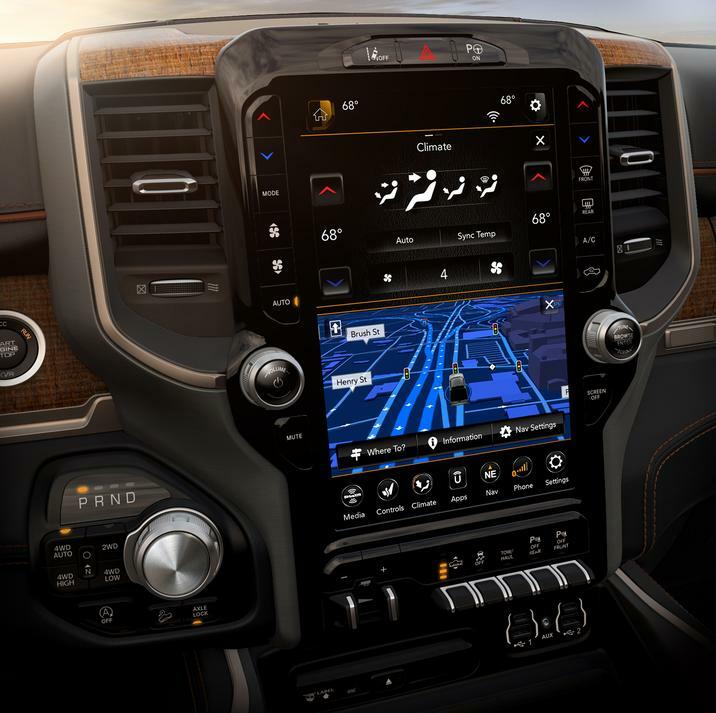 Check Out This Video Showcasing the Features of the Uconnect System in the 2019 Ram 1500! The Uconnect system that is onboard FCA vehicles is one of the best and most popular digital vehicle systems on the market. It is easy to use and features an easy to use UI. But, it is a system that is mainly associated with sedans, suvs, minivans; not trucks. The Ram 1500, however, makes great use of its 12-inch Uconnect system as a new video that Ram Trucks released for Truck Thursday proves. The video breaks down the use of the Uconnect system for the average driver. With highlighting features such as GPS for the longer hauls of equipment or for a roadtrip for the upcoming summer, the Uconnect system will get you where you need to go. It can help you find a place to eat or gas up without having to be stressed out with searching on route. This entry was posted in Queens Bayside Chrysler Jeep Dodge, Ram, Ram 1500 and tagged 1500, features, highlight, Ram, showcase, technology, Truck, truck thursday, Uconnect by baysideadmin. Bookmark the permalink.